After all the wait, it’s official now. Xiaomi will pull the wraps off its next flagship, the Mi 6 today at an event in China. Well, for launches like these, vendors usually send out invites a week or at least, a few days in advance to press. This time around, though, the company kept mum until its official social media page on Weibo confirmed yesterday that it would be officially launching the smartphone today, i.e., on April 11. In the past couple of weeks or so, the Xiaomi Mi 6 has become the talk of the town. Just after Samsung made the Galaxy S8 and S8+, rumours started pouring in thick. Today is no different. The Mi 6 was spotted paying a visit to the AnTuTu benchmarking site revealing the key specs, thanks to the earlier leaks. For those who care about numbers, the Mi 6 managed to score 170,000 points on AnTuTu which is not at all surprising. Well, you already know why (at least, most of you)! Anyway, no points for guessing, all the credit goes to the Snapdragon 835 chipset. Also, that’s quite an improvement from what the Mi 5s managed to score last year on AnTuTu. Going by the listing, the Xiaomi Mi 6 is being currently referred to as Sagit which falls in-line with the earlier rumours. The device is spotted running Android 7.1.1 Nougat, that’s good news. There will, of course, be a layer of company’s MIUI on top of it. The listing also reveals that the Mi 6 will pack 4GB of RAM and 64GB of native space. You can expect another variant with higher amounts of RAM and storage space. Perhaps, a 6GB RAM + 128GB storage variant. 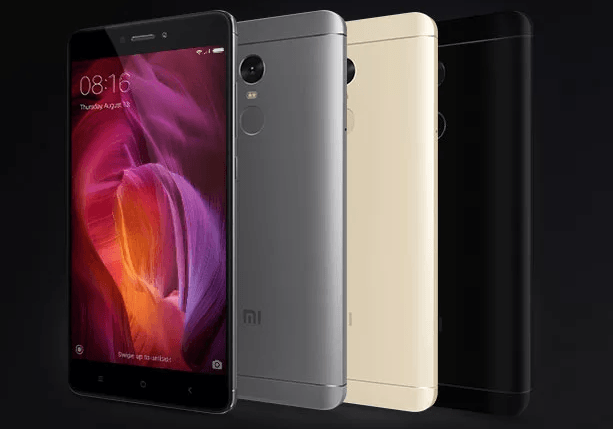 It is expected to retain the same 5.15-inch Full HD display from last year’s Mi 5. There are also rumours that it will feature an iris scanner and the fingerprint scanner at the front. In terms of imaging, it will feature a 12-megapixel sensor at the back along with an 8-megapixel shooter on the front. Interestingly, both of them are tipped to be capable of recording 4K videos. Further, there are also reports that the company will unveil a bigger variant of the phone, possibly called the Mi 6 Plus with a larger display and dual camera setup at the back. When it comes to pricing, the base variant of the Mi 6 is expected to set you back by CNY 3,199 (approximately Rs. 29,900) with the prices reaching as high as CNY 3999 (approximately Rs. 37,400) for the high-end variant. Are you excited about the Mi 6, or the Mi 6 Plus? How many of you are eagerly waiting for the device and are willing to buy them when they are launched in India? Will be unveiled on April 19, 2017, not today! The rate at which these Chinese companies are increasing price of their products, very soon they will be no longer called affordable. I am sad to see Motorola Selling SD430 for 12k, or even OnePlus selling 3T for 30k. I have used 3T for more than a month now and I can say that my 1.5 years old Note 5 beats it in everything except synthetic benchmarks. Poor people never have it easy in life. Better increase one’s own income than expecting others to give you cheap stuff. Chinese mean business & nothing else. They will never forgo huge profits they can easily make in India’s booming market. Lol Oneplus 3 is one of the most affordable Flagship with Mostly Open-sourced Android version. I will never buy some Cheap BLU Flagship phone, even if it can perform better than Samsung S8- if it can’t be rooted and displayed weird ads in Lockscreen which users can’t turn off.